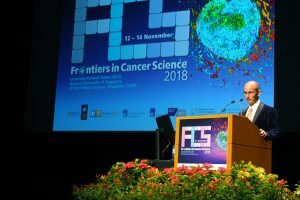 The annual Frontiers in Cancer Science (FCS) conference marked its 10th Anniversary this year with the successful conclusion of its 10th meeting this year, held from 12-14 November at the University Cultural Centre, NUS. 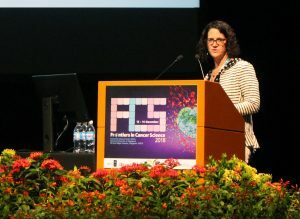 Proudly and jointly organized by the Cancer Science Institute of Singapore (CSI Singapore), Duke-NUS Medical School (Duke-NUS), Genome Institute of Singapore (GIS), Institute of Molecular and Cell Biology (IMCB), Lee Kong Chian School of Medicine (LKC Medicine), National Cancer Centre Singapore (NCCS) and National University Cancer Institute, Singapore (NCIS), the conference served as an exceptional platform for networking and learning from the world’s top cancer experts. This year’s conference organizing committee was headed by Prof Philipp Kaldis from the Institute of Molecular and Cell Biology (IMCB), A*STAR. The conference featured an impressive program with 32 esteemed local and international speakers over the span of 3 days. 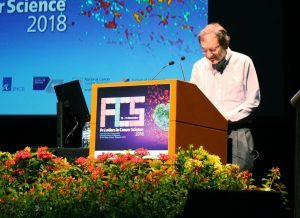 This year, close to 700 participants had an opportunity to gain insights through power packed talks by renowned speakers from around the world, including two Nobel Prize laureates, Professor Andrew Fire from Stanford University, recipient of the 2006 Nobel Prize in Physiology or Medicine, and Professor Paul Modrich from Duke University, recipient of the 2015 Nobel Prize in Chemistry. The coming together of diverse and distinguished research expertise led to a great exchange of research and clinical knowledge, as the speakers discussed various oncology topics over the span of 8 sessions. 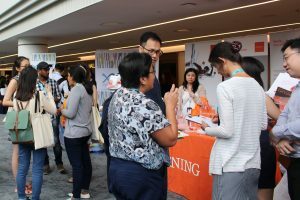 Participants also had the opportunity to interact with speakers in a casual setting during Lunch with the Experts, which took place on the second day of the conference. 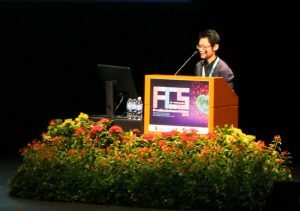 FCS 2018 also saw the introduction of a new segment, the Lightning Talk presentations, where presenters were each given a 3-minute time slot to present. These presentations were given by 17 participants who were selected by the committee for their high quality scientific abstracts. Additionally, a total of 78 other participants took part in the FCS Poster Presentations this year. 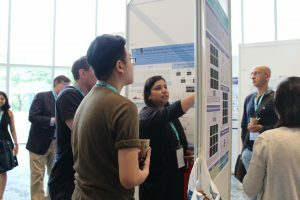 The FCS Poster Presentations provided a good medium for discussions and exchange of feedback as presenters stood by their posters and addressed queries posed by passing attendees. 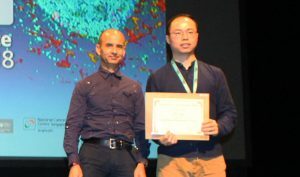 Additionally, the conference also offered two winners of the Gold Poster Award a travel award worth USD$2,000 each from the American Association for Cancer Research (AACR) for them to attend and present their posters at the AACR Annual Meeting 2019. 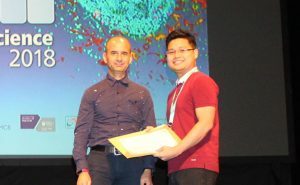 The two “Gold Poster” prizes were awarded to Wu Ling from Department of Microbiology and Immunology, Yong Loo Lin School of Medicine, NUS, with his poster submission on “Chimeric Antigen Receptors Based on T Cell Receptor-Like Antibodies” and Darren Tan from CSI Singapore, with his poster submission on “PRMT5 Modulates Splicing for Genome Integrity and Preserves Proteostasis of Hematopoietic Stem Cells”. 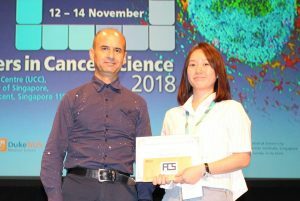 The winners of the Best Poster Awards were Huang Xi Xiao from CSI Singapore, with her poster submission on “Role of Retinoic Acid Receptor Alpha (RARα) Mutants in Breast Fibroepithelial Tumours” and Yap Jia Jun from National Cancer Centre, with his poster submission on “AMPK inhibitor overcomes the paradoxical effect of RAF inhibitors through blocking the phospho-Ser621 in the carboxyl-terminus of CRAF”. 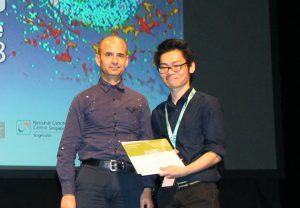 The Best Poster Award for the meeting was sponsored by EMBO Reports. 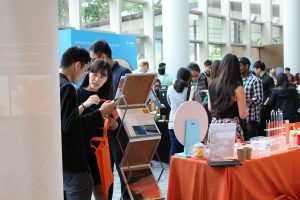 The FCS 2018 conference would also like to express our thanks to 11 sponsors who offered their invaluable support – Becton Dickinson, Perkin Elmer, Abcam, Agilent, Beckman Coulter, Corning, Integrated DNA Technologies, Leica, NovogeneAIT, Singlab and Roche. We also thank our media partners for the successful partnership in furthering the conference – American Association for Cancer Research (AACR), EMBO Reports, Asia Research News, and MIMS. FCS 2019 will be happening on 4-6 November 2019. Remember to save the date!